I did not make my mind up about this until two weeks of getting up in the middle of the night to get a bottle of milk from the fridge, heat up water, and ten minutes later present his warm milk to my son; three times a night. 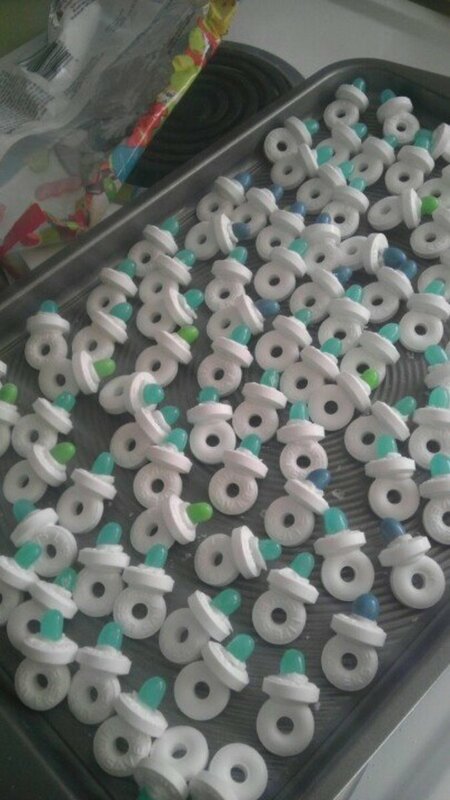 I finally got tired of it and searched for something that would help make night feedings much easier. 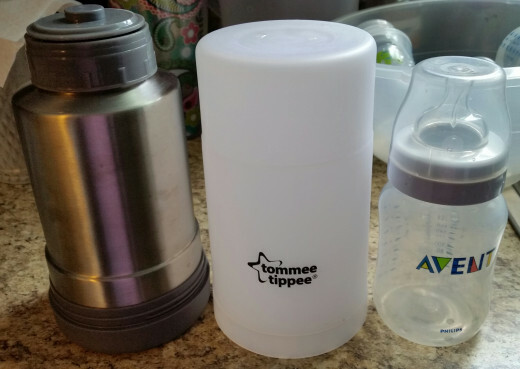 The Tommee Tippee Travel Bottle And Food Warmer makes heating bottles and jars easy on the go. It’s portable and convenient; no electricity needed. It’s easy to use. 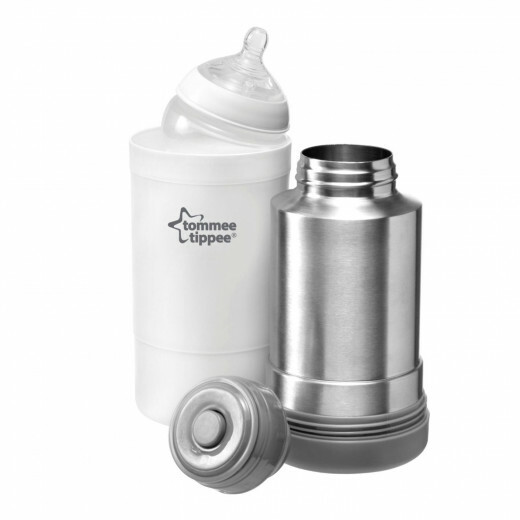 It’s BPA and phthalate free. It’s made of stainless steel and plastic. It’s only hand-washable. Made in China. It’s portable and easy to use. Thermal flask keeps water hot for several hours. The carafe warms up bottles in minutes and stays cool to the touch on the outside. You can fit any size baby bottle in the carafe. 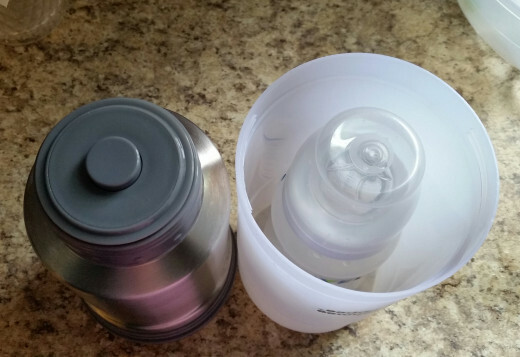 Bottle warmer and carafe next to Avent 9-ounce bottle. Avent 9-ounce bottle in carafe. It’s bulky. The whole thing is rather big and may make it difficult to fit in some diaper bags. It can be difficult to close both, the lid and the carafe. It’s a thermos with a giant insulated frosted cup. You can fit up to 18 ounces of water in the thermal flask; up to the rim on the inside. 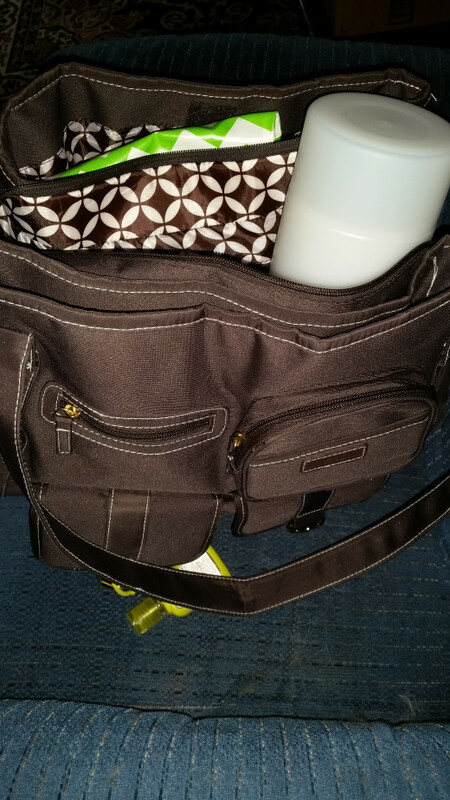 Although it is bulky, it fits nicely in a corner in my diaper bag. I like that the cup is big and tall because I can fit all types of bottles in it and if I overfill it with water it won’t overflow. I personally rather not use the button on the cap to pour water because I do not want to forget I pressed the button and accidentally spill it over me, in my purse, or my husband. As with all thermos you have to keep in mind you are handling hot water. 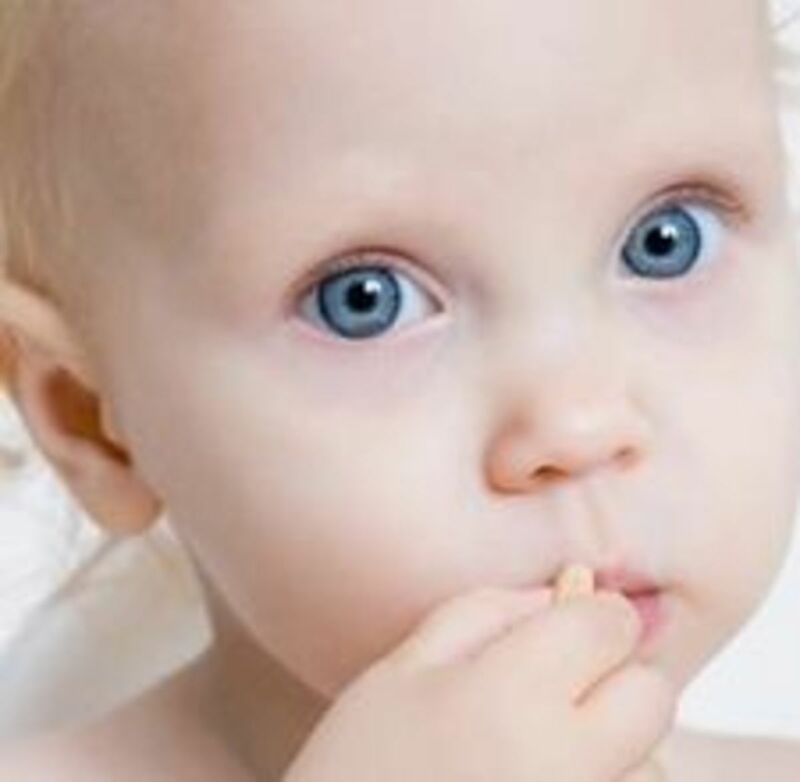 Never handle hot water around your baby or at baby’s reach. It’s a nice item to have. I have used it several times, especially when we have doctor appointments. The price is not bad, so it’s definitely worth it. 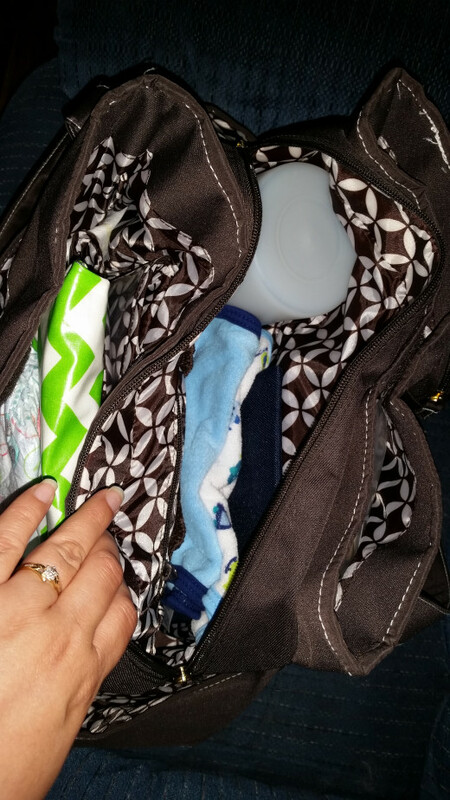 Bottle warmer stuffed in a corner in my diaper bag. How would you use this bottle warmer? They all sound good. Everything is better when it’s hot!